An overflowing smile due to a surplus of the heart’s emotions is possible when you have perfectly straight teeth. If you have poorly aligned teeth and feel too embarrassed to smile, then it is time to visit an orthodontist for a complete evaluation. Wanting to have your teeth straightened isn’t just about your vanity because correctly aligned teeth will lead to improved overall health. When your teeth are overcrowded, it is easy for food debris to collect along the gums before it develops into plaque. Plaque contains bacteria that cause inflammation, halitosis and cavities. If your orthodontist believes that your malocclusions are minor, then wearing removable plastic aligners is possible. With these types of braces, you can take the devices out to brush and floss your teeth. 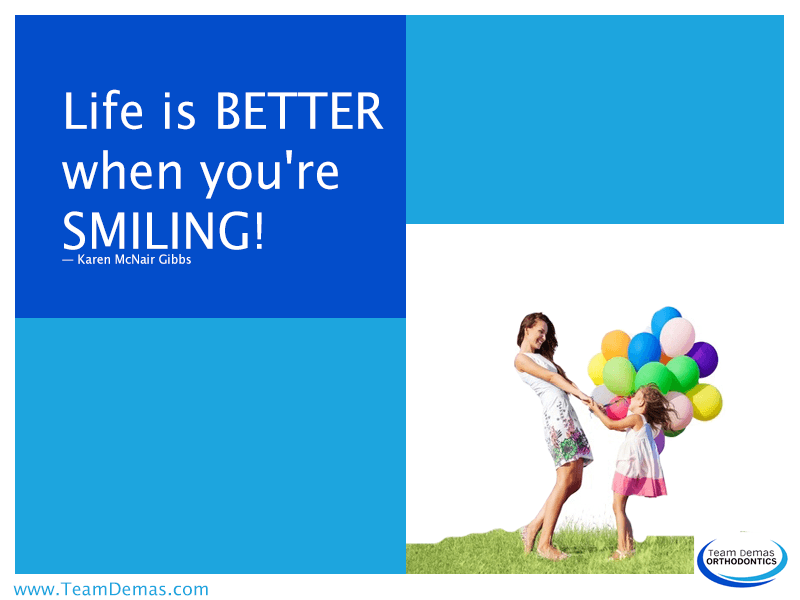 Visit Team Demas Orthodontics to Straighten Your Teeth. Adults, teenagers, and children living in Connecticut can take advantage of Dr. Demas’ expertise in diagnosing malocclusions of the teeth to prevent conditions such as sleep apnea, bruxism, and temporomandibular disorder. While you are visiting one of his offices, take a time to learn about more smile quotes written by musical composers and poets.